Hamid Karzai is under pressure to establish legitimacy for his administration. 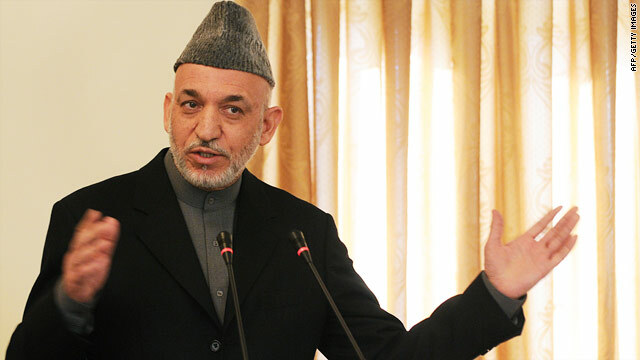 Kabul, Afghanistan (CNN) -- Afghan parliament members reacted angrily Tuesday after President Hamid Karzai gave Cabinet posts to ministers they had rejected days earlier. Parliament approved seven of Karzai's 17 Cabinet nominees Saturday, leaving 10 posts vacant. On Tuesday, Karzai made some of the 10 rejected nominees acting ministers or assistant ministers in the Cabinet. It provoked strong reaction from government officials. "That decision of the president is disrespect for the people of Afghanistan and for the representative of the people [parliament]," Mirwise Yasini, first secretary to the parliament, told Azadi Radio. Yasini said the decision also disrespected both Afghan laws and parliament members, who had rejected most of those nominated Tuesday. "It would be better if the president would select some eligible people from the ministries as acting ministers," Yasini said. The nominees' rejection did not bode well for Karzai, under both international and domestic pressure to stamp out widespread corruption and establish legitimacy for his administration, tainted by allegations of vote fraud last August. Parliament members have complained that Karzai's nominees are either corrupt or linked to warlords. "Without any doubt, it is a crash between the government and [parliament], and [I] hope it won't go deep," political analyst Nassrullah Stanakzai said of Tuesday's developments. The next vote on Cabinet nominees is scheduled for next month, when Parliament members return from vacation.